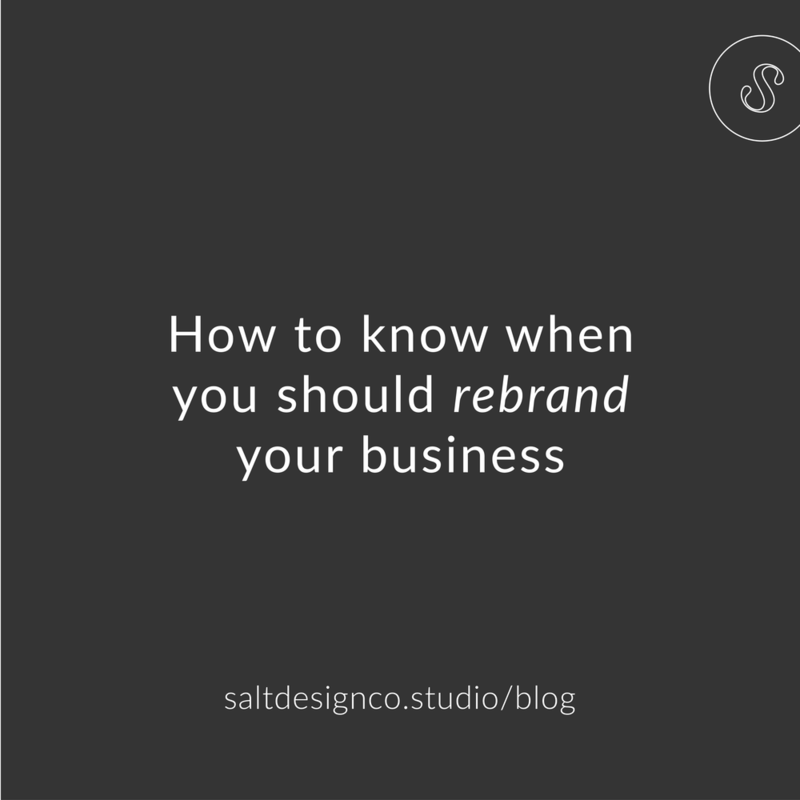 How To Know When You Should Rebrand Your Business — Salt Design Co. Nothing ever stays the same - it’s a rule of life, a law of physics. Things must change. And in business, things can change pretty quickly. All businesses evolve, and all businesses need to stay true to their changes, and also to the changing times around them. As the months and years pass, you might start to feel like the visual identity you have no longer suits your business. Are you there? Are you considering a rebrand? Here’s how to know if you’re ready. Deciding if you're ready for a rebrand might not be a very complicated process, but it quite likely will feel like a big decision to make, and that’s why you need to be sure. Use this quick list a check-point for your decision making, and comment below if you have any questions! Is your brand feeling stagnant and old? Has it been a long time you gave your brand a refresh? Has your business through a transition in mission, customer demographic, or offering? Have you changed the direction you’re taking your business in? Does your existing brand no longer feel like it suits your business, or is helping you to achieve the goals you have? If you answered yes to any of these questions, chances are you might need a rebrand! If you’re not feeling ready for a full rebrand there are lots of visual adjustments that can be made to existing brands or logos which will help to update the look and feel of a brand without a total overhaul. For many businesses, that’s all that’s needed - and that’s totally valid! Interested in a rebrand, or need help making adjustments to an existing brand identity? We’re here to help! Email us at hello@saltdesignco.studio or take a look at our brand foundations package, which suits a new business or an existing one looking for a whole new look.